The Governor’s Office of Highway Safety (GOHS) places a priority in funding enforcement campaigns targeting speeding and aggressive drivers. 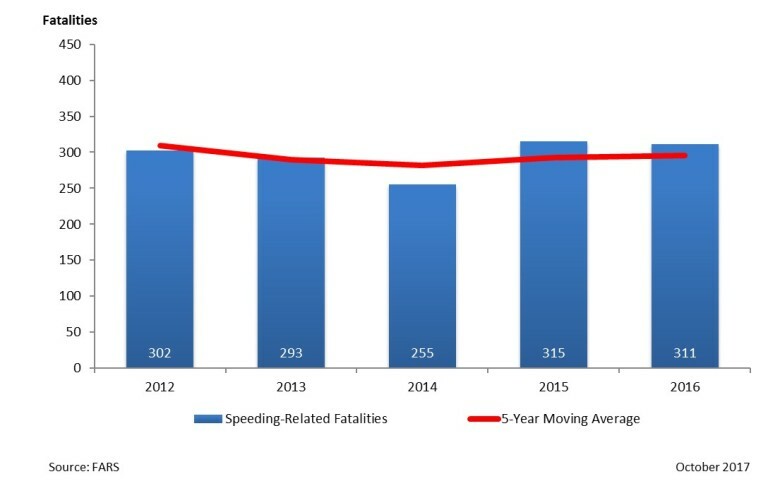 Speeding is one of the top three causes of deaths on Arizona’s roads and highways. (The other top two are driving impaired (DUI) and failure to be properly restrained (Occupant Protection). Arizona is one of only 11 states to have specific laws targeting aggressive driving (ARS § 28-693). These laws define aggressive driving as speeding and at least two of the following: failure to obey a traffic control device, passing on the right out of regular lanes of traffic, unsafe lane change, following too closely, failure to yield right-of-way and is an immediate hazard to another person or vehicle. The GOHS devotes funding to law enforcement agencies to combat aggressive driving through overtime, unmarked enforcement vehicles, and speed-detection equipment. In Federal Fiscal Year 2016, the GOHS provided over $2.0M in funding to law enforcement agencies to enforce Arizona's speed and aggressive driving laws. The National Highway Traffic Safety Administration (NHTSA) releases Traffic Safety Facts Publications on various subjects. Click the links below to read more. Speed - 2015 National Data. Published July 2017.